I work long hours...a good 40 hour a week standard working times 9-6pm Mon-Fri. Whilst working we are also juggling childcare for the little one as hubby also works same hours. Soon as it comes 6pm I am literally dashing out of the office to get home to cook dinner. Little one gets fed tea at nursery at 4pm but she still eats loads for dinner with us so I carry on offering her dinner. Her bed time is between 8-8.30 so with me getting in at 6.15 then cooking dinner ready for 7pm, by the time we finish eating its gone 7.30 then there's bath and milk before bed. It's a lot to cram in after work in such a short space of time! You can imagine how crazy my household is in the evenings and when the madness is over I need to have a hot soak in the bath. I hate showers, it's a bath daily for me (yes even in the summer) and I find it really helps me to unwind after a long day and gets me ready for bed. These days I rather sleep than catch up on TV. 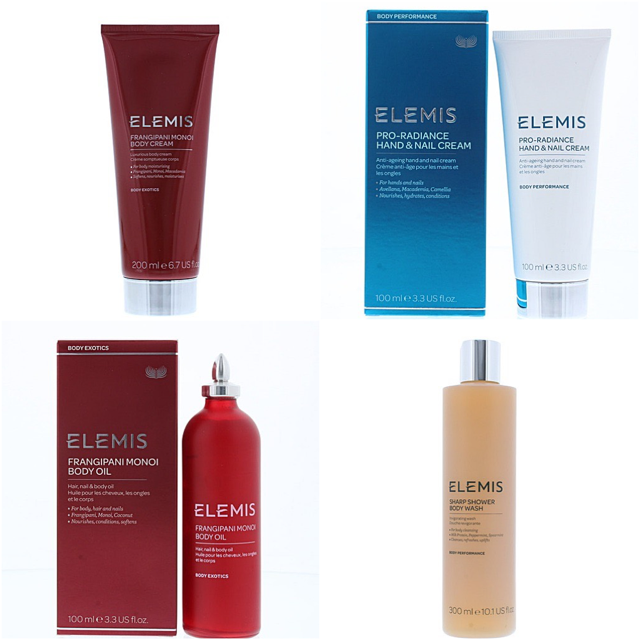 A few months back we were on a cruise and I treated myself to a massage at the spa in which they used Elemis products and since then I have been keen to get my hands on their fabulous range! 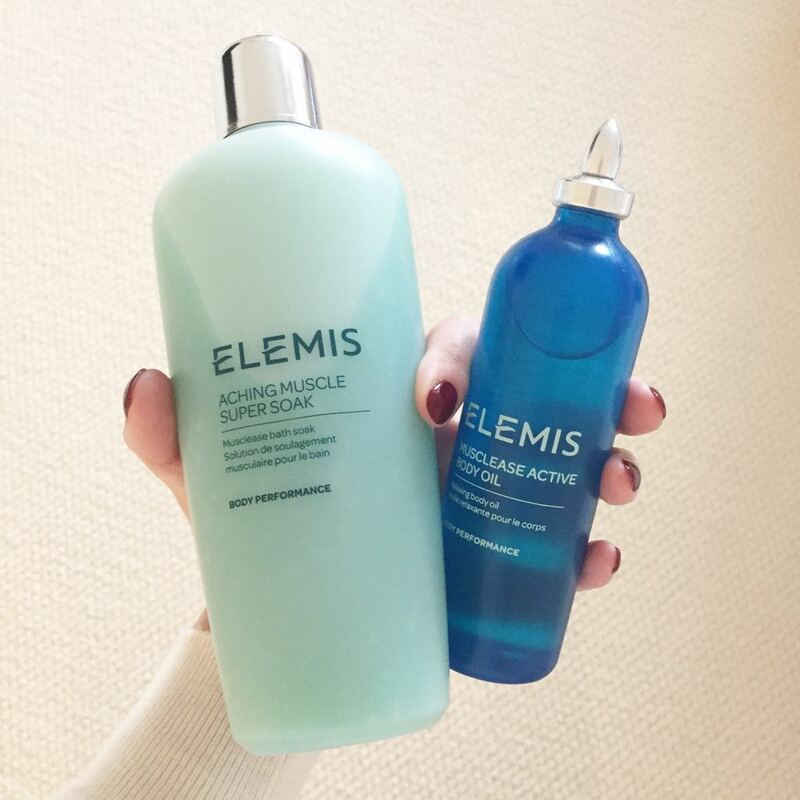 I picked up 2 items from *SimplyBe the Elemis Aching Muscle Super Soak and Elemis Musclease Active Body Oil. The Aching Muscle Super soak is a foaming bath soak, you don't need a lot and it will create lots and lots and lots of bubbles! It warms, energizes and recharges. The scent is so relaxing and it fills the entire bathroom with the aromatherapy scent and even into our hallway which you don't get with a lot of bath soaks. It helps with easing tired muscles and recharges....tbh its so nice it just makes me fall asleep. It is expensive at £36 for 400ml, however it's Christmas so get that on your wish list!!! Before the little ones come along I am sure we all had extra cash compared to now....I use to go for massages every 4-6 weeks to relieve the knots on my shoulder / tension built up from sitting in front of a computer all day long. I am saving every penny these days so I have taught hubby how to release the knots for me so the Muscles Active body oil came in handy. Soon as it comes in contact with your hands it warms up slightly which makes it so easy to apply and push around. I would highly recommend this if you have someone who can help. I have given hubby a mini wish list for Christmas so I can grow my collection in the bathroom...I am hoping some of these will be under the tree. 1. Elemis Frangipani Monoi Luxurious Body Cream. 3. Elemis Frangipani Monoi Body Oil - For Body Hair & Nails. 4. Elemis Sharp Shower Body Wash - Invigorating & Uplifting.